New to the market, the Cozzia 16028 is making a statement in the world of massage chairs. At an affordable price point, it is a great choice for those that are looking for a more budget-friendly option in massage chair. With full body massage options and a heat feature, among other great characteristics, the Cozzia 16028 is among the best in its price range. Don’t take our word, though. Keep reading to learn more about what makes the Cozzia 16028 so impressive. Among the greatest of features of the Cozzia 16028 is its quad roller style. The quad roller is impressive in that it allows the massage rollers to go both vertically and horizontally. This helps to ensure that there is a complete massage rather than just a traditional one. Further, the Cozzia 16028 has a scan feature. This feature allows the chair to scan the body and essentially take its measurements. Because it knows the length and width of the body, a massage can then be more precise and more exact. The Cozzia 16028 has a zero-gravity feature. That means that it can lay back into a prostrate position. This helps to really elongate the spine and relax it at the same time. In so doing, the body can be more positively impacted by the massage. It is truly the optimum position for a complete massage experience. This position is also beneficial in that it puts the body in the most relaxed of positions. The more relaxed the body, the more effective the massage can be. Heat is a great addition to a massage. It helps to relax the body even further and it makes the massage more beneficial. The Cozzia 16028 adds a heat feature to its chair. This helps to especially relax and work on problem muscles and help with joint pain as well. The heat is in the back region, too, focusing closely on the lumbar region. This coupled with the vibrations of the chair gives the body a soothing experience. The Cozzia 16028 massage chair has seven different massage programs from which to choose. Those using the chair can have a clapping massage or a rolling. They can choose from vibration or even an air massage. If a program is not what is best, massages in this chair can be targeted to a specific area. The chair allows a user to pick the problem area and wait for the chair to do the work of helping that region relax. The styling on the Cozzia 16028 is beautiful. It has a faux leather look that gives the chair an air of beauty and yet modernity. The black upholstery goes well in many different homes. It appears luxe and sophisticated, while still retaining an affordable price point. It is another one of the reasons that this chair has been a popular choice since it hit the market. 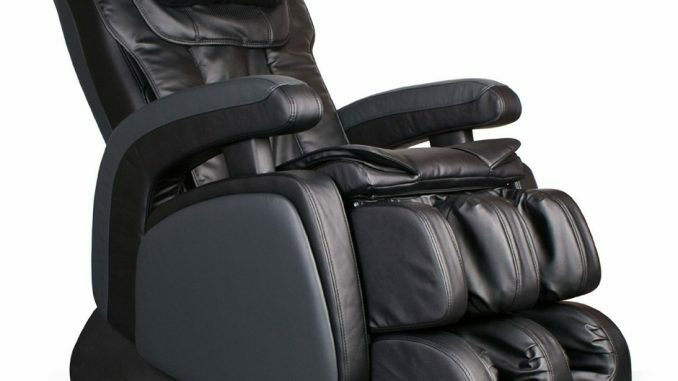 The Cozzia 16028 offers some of the best features in an affordable model of massage chair. It is well crafted and comes from a popular brand in the massage chair industry. It is not, however, without its flaws. While the rollers and massage air bags are great, there is a lack of concentration on the arms and upper limbs. This can be a drawback as many find tension in their shoulders, hands, elbows and upper arms. But, with an affordable price point and many other features that are pretty great, the Cozzia 16028 may just be the perfect option for your home.